The underlying philosophy behind the STOL CH 701 kit is to provide the builder with everything needed to complete the STOL CH 701 airframe - with only basic tools and skills. The STOL CH 701 requires about one year (or about 400 hours) to build from the complete factory-supplied kit. All you need to get started is a level workbench and basic hand tools. The detailed Drawings & Manuals guide the builder through the kit assembly process. The Drawings and Manuals supplied with the complete kit are not just instructions as with most kits, but are detailed blueprints of the complete aircraft. Actually, a STOL CH 701 builder is really assembling the kit from quality parts and components supplied in the kit. All components, parts and hardware are supplied  labeled and numbered for easy identification. 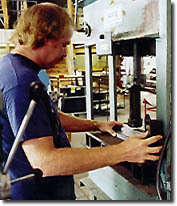 Every bolt, fastener, and rivet is supplied; from the propeller spinner right down to the rear fuselage tie-down bracket. The airframe kit takes an average time of just 400 hours of straight-forward and basic assembly work to put together using only simple tools, such as an electric hand drill, a hand rivet puller, Cleco temporary fasteners, a set of wrenches, a few hand files, sheet-metal snips, etc. Importantly, virtually no jigs and fixtures are needed in the building process, as all sections are built up from the flat workbench. 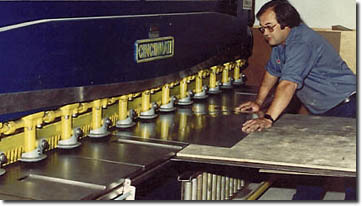 A bending brake, shear or other machinery is not needed, and assembly is easily done in a single car garage or basement workshop. While previous aircraft building experience and sheet-metal skills are always an asset, the STOL CH 701 kit and assembly instructions have been developed specifically for the inexperienced novice builder. 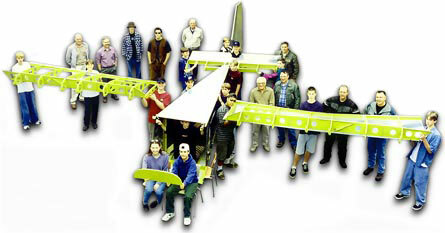 In fact, an overwhelming number of STOL CH 701 builders are building their very first aircraft. The simplicity of construction, quality of parts and components, and the completeness of the kit translates into low build-times and a very high kit completion ratio, even for novice builders. The STOL CH 701 kit meets the requirements for amateur-built (experimental) categories in the United States and Canada, as well as in most countries around the world. In the United States, the Federal Aviation Administration (FAA) has determined that the STOL CH 701 kits meet FAR section 21.191(g), making it eligible for amateur-built registration. The STOL CH 701 meets "ultralight" specifications in many other countries. "A tour of the factory demonstrates the work which goes into producing a kit. 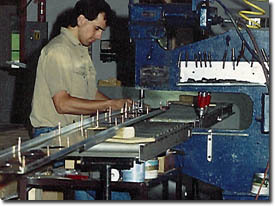 Using state-of-the-art fabrication techniques, the skilled staff produces all kit parts with special attention to detail. All parts supplied in the kit are ready-to-assemble." In the kit, all the wing ribs and fuselage bulkheads are supplied pre-formed. For example, the internal wing ribs are first press-formed, with lightening holes cut and flanged, and then hand finished at the factory for a perfect ready-to-install fit. The heavy-duty wing spar comes complete with all solid (bucked) rivets already set by factory professionals. Surface skins - wings, ailerons, elevator, rudder, and fuselage - are ready for fitting, and most skins are supplied pre-drilled to minimize construction time. 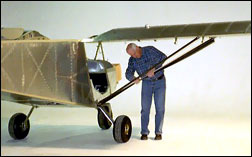 While the basic design of the STOL CH 701 has remained the same since its introduction in 1986, many significant improvements have been made to the kit over the years, including a new all-terrain gear, higher useful load, quicker and easier build kits, and more detailed drawings and step-by-step assembly instructions. 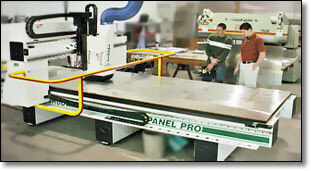 Zenith's new 12-ft x 4-ft CNC router table allows for more prefabrication and pre-drilling of kit parts. (3 min. / 5.75 mb). Pre-assembled parts (such as the wing spar) are factory-treated with zinc-chromate primer for maximum corrosion resistance. 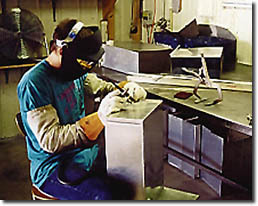 Welded parts, such as the engine mount, control assemblies, and fuel tank, come factory welded and ready to install. The STOL CH 701 kit is complete: the new all-terrain landing gear, hydraulic brake system, fiber-glass wing tips, control systems, welded aluminum fuel tank, etc., are standard equipment in the complete airframe kit. With the addition of the firewall-forward Rotax 912 series powerplant and instruments package, the builder gets everything needed to complete the STOL CH 701 aircraft. "...simple to build, requiring just average skills and inexpensive tools... kit prices are not exceptionally higher than what a builder would pay for the raw materials, simply because of the ease of making them. On a production line, Zenith parts can be made faster and more accurately than even the fastest, most skillful homebuilder could build them. All of Zenairs kits are quick to complete by anyones standards. Owners have reported times as low as 350 hours, with 400 a conservative average. That is just 20 hours a week for 20 weeks." The STOL CH 701 builder can start assembly right away after taking delivery of the kit. 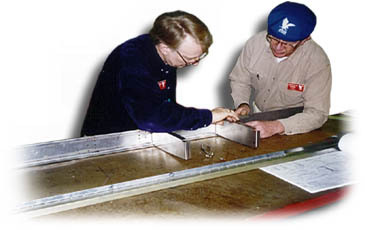 Working from a flat table, the builder can immediately begin to build the wings - simply by measuring, drilling and riveting, and thus progress through the whole airframe section by section, aided by the detailed blue prints, step-by-step manual and visual photo guides supplied with the kit. Building the all-metal STOL CH 701 is straight forward, requiring no complex jigs, and no messy (and hazardous) doping or epoxy work is involved. With the proven and simple all-metal construction technique, the STOL CH 701 builder does not have to worry about having a temperature controlled dust-free work-shop environment, and does not have to mix compounds and wait for parts to cure. A STOL CH 701 kit has been completely built and flown within just seven days by volunteers, supervised by Zenair staff. Starting with a stock factory kit, a dozen volunteers spent the week assembling and completing the kit at the EAA Sunn Fun fly-in, and designer Chris Heintz flew the completed aircraft during the airshow on the seventh day. This challenge, to prove how quick and easy the STOL CH 701 is to build, was successfully accomplished three times, at the 1987, 1990 and 1991 EAA Sunn Fun fly-ins. No other kit manufacturers have attempted a similar challenge. The STOL CH 701 builder is buying more than a box full of aircraft kit parts: We take customer support seriously, and take pride in the reputation weve developed over the last twenty years. Our relationship with the customer only begins when the kit is delivered. Direct factory support is always available - just a phone call, fax or email message away, which is promptly answered by the same professionals who build the kits. Whether building from plans-only, component kits, or from the complete kit, direct technical support is available to every STOL CH 701 builder. The exclusive online builder resources and the ZENITH.AERO online community are other forms of continuous builder support, providing ongoing updates, building tips and news from other builders. Also, there are already hundreds of active STOL CH 701 builders around the world, happy to help other local builders complete their projects. Workshops at the factory allow first-time builders to gain hands-on experience in building their own aircraft with the guidance and help of experienced factory professionals. Compare the value and quality of the STOL CH 701 kit to the competition for completeness, pre-manufactured parts and components, standard equipment, low build time, building ease and required skills. The high STOL CH 701 kit completion ratio speaks for the quality of the kit and the level of available customer support. START BUILDING FOR JUST A FEW HUNDRED DOLLARS ! If youre ready to start building your own airplane, but arent sure that you have the required skills and want to learn more about building, the introductory Starter Kit has been developed just for you. The Starter Kit includes the complete kit for the rudder tail section of the STOL CH 701 and comes with a detailed and illustrated 'step-by-step' assembly manual - everything you need to get started! Developed specifically for the first-time builder, the low-cost Starter Kit includes everything you need to start building your own STOL CH 701 kit aircraft. Click here for information on the introductory Starter Kit and factory workshops. HomebuiltHelp.com offers additional DVD titles specifically to help STOL CH 701 builders with their project.